Yes, this does get its own board. It's that special. Most boards will only become visible if you are a registered member. Please register for the forum in order to take part in the discussion. Ads on this forum support the forum host, and not MMO Grinder. Make of that information what you will. 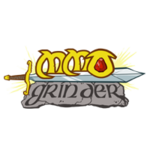 DO NOT discuss episodes of MMO Grinder on this forum. If you wish to discuss an episode, use the comments section of that episode on mmogrinder.net. DO NOT make suggestions for games you want reviewed. This is what Suggested MMO List on mmogrinder.net is for. DO NOT use this forum as an attempt to contact me directly with questions. My personal e-mail and website and Twitter accounts are more than enough, as I'm notified of new messages through those methods via my cell phone. New posts on here will go mostly unnoticed until I check here. Don't be afraid to start your own threads and discussions. Games played and discussed by the community do not need my "approval" to be played. Make a TERA guild and a Scarlet Blade guild for all I care. Just remember that any guilds formed in any game are not to be expected to revolve entirely around me, as I can't be everywhere at once, and in case you hadn't noticed, my attention is usually diverted elsewhere... Long story short, be here for the community. Not just for me. Keep everything in the appropriate topic. No excuses of how "no one reads this certain board", or "no one answered me yet". BE CONSIDERATE: "Free speech" is not an excuse for dickery on a closed forum. This is a community forum and should reflect this behavior. Personal vendettas against me or others in the community should be kept to PMs and personal accounts, not threads. Have a point to your posts. Type more than a few words. "Me too", "lol", "FIRST" and "ok..." are not legit posts and WILL be deleted if we deem them to be lazy attempts to get your post count up. Respect other members and moderators. If you have a problem with the way a mod is treating you, or feel you are being treated unfairly, I will review that moderator's behavior and pass judgment accordingly. If you have a problem with the Admin... you probably won't want to post on this board. I consider myself fair, and I am fairly tolerant and patient for a good while, but I'm also completely out of fucks to give if you get on my nerves. Bad language is fine. I'd be a hypocrite if said it wasn't allowed. Intolerant, or inflammatory language is not permitted however. Remember it's not just what you say, but HOW you say it. Use tact. If you don't know what "tact" is, look it up. If you don't understand the definition, go away.